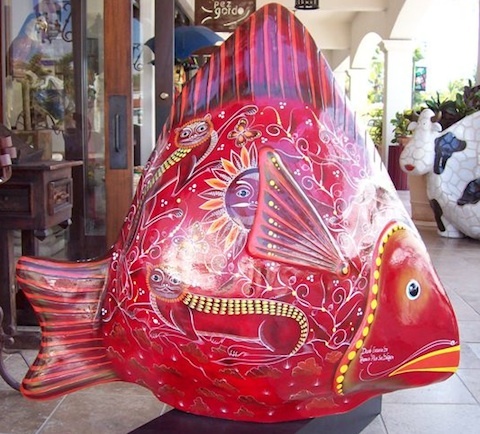 The Fish Parade, located at the Shoppes at Palmilla, proves that art, charity and good will are hot this season in Cabo. 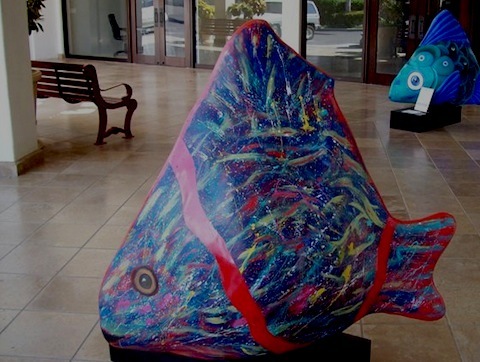 The Fish Parade, which began in November, is an outdoor display of 12 giant fiberglass fish sculptures. 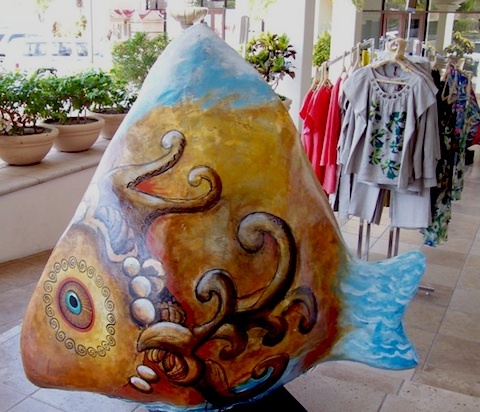 The Shoppes at Palmilla stores each sponsored a fish which was designed by a local artist. 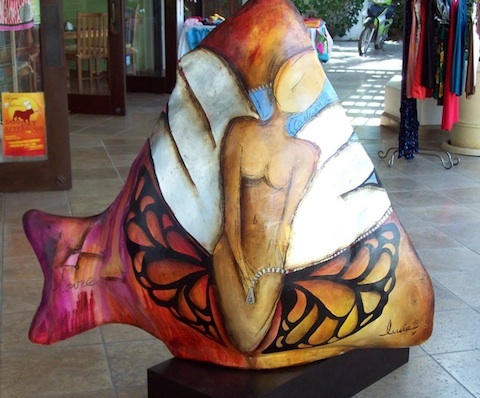 Visitors can head over to the Shoppes at Palmilla to stroll through the stores and check out these gorgeous pieces of art. 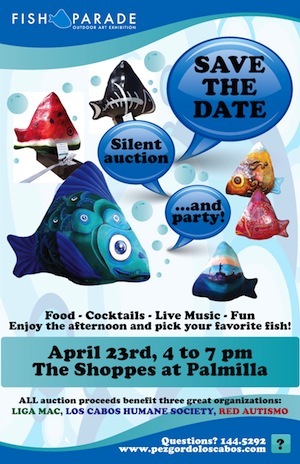 The Fish Parade is concluding on April 23rd with a Silent Auction Event. 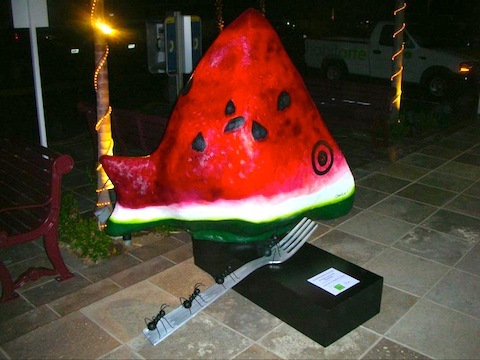 The auction, which will last from 4pm to 6pm, will include food, cocktails, live music and more. 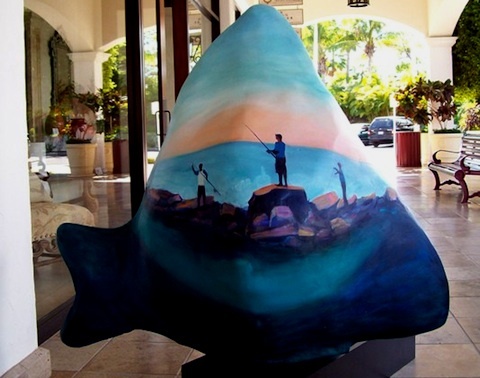 Want to take a sculpture home? 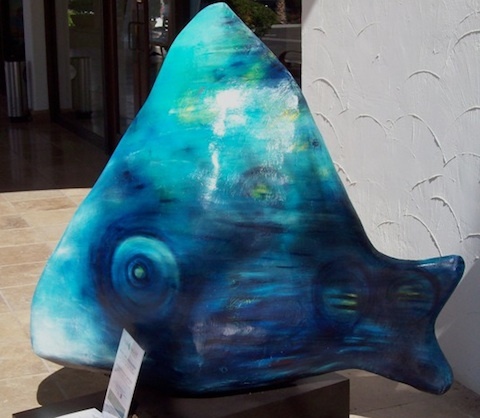 The sculptures will be auctioned at the event with the proceeds going to charity. 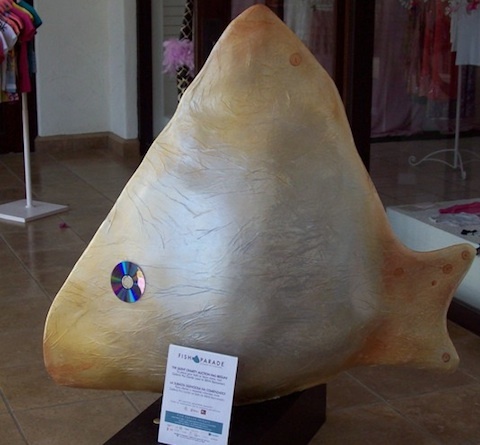 You can check out current bids on the Fish Parade Los Cabos Facebook Page. Los Cabos Humane Society: Provides animal control for Los Cabos including animal rescue, pet adoptions and population control services. Red Autismo: Helps provide therapies for those with the Sutism Spectrum Disorder and Development Disorders. 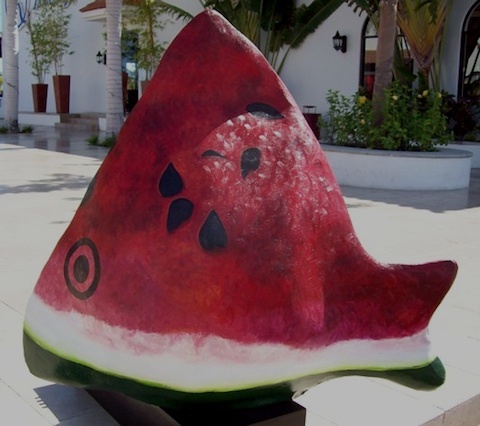 I’m quite partial to the Watermelon, Red Fish and the Fish Eye View. Which one is your favorite? 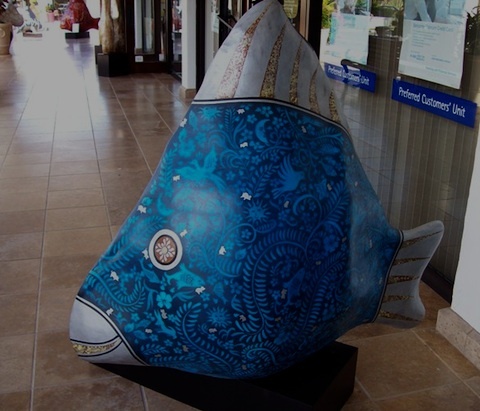 Scroll down to check out all the sculptures in the Fish Parade and leave your answer in the comments. 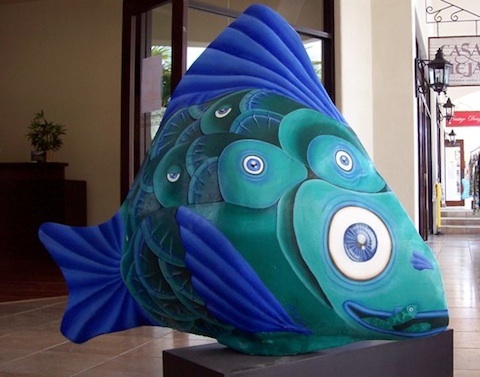 Artist: Pedro J. Gutiérrez Lizárraga. Don’t forget to share your favorite fish! 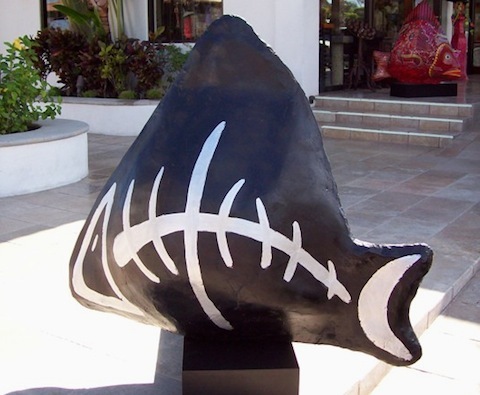 The Fish Parade was organized by the Pez Gordo Gallery and the Shoppes at Palmilla.